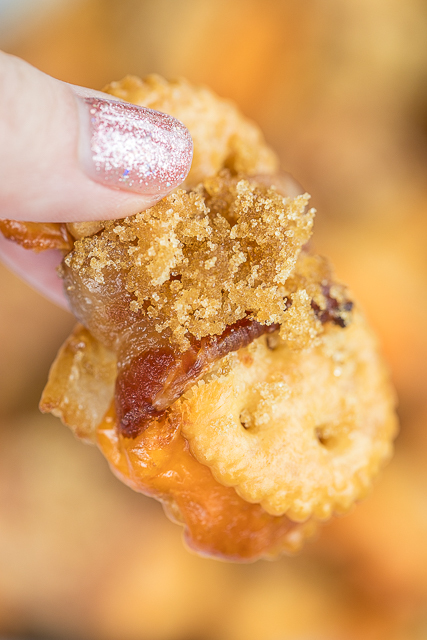 These Cheesy Bacon and Brown Sugar Crackers should come with a warning label. O-M-G! SO good!!! 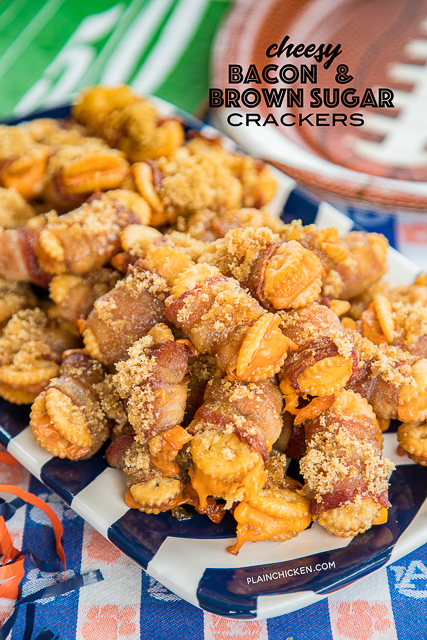 I mean how could cracker stuffed with cheese and wrapped in bacon and brown sugar be bad? I made these for a holiday party and they flew off the plate! 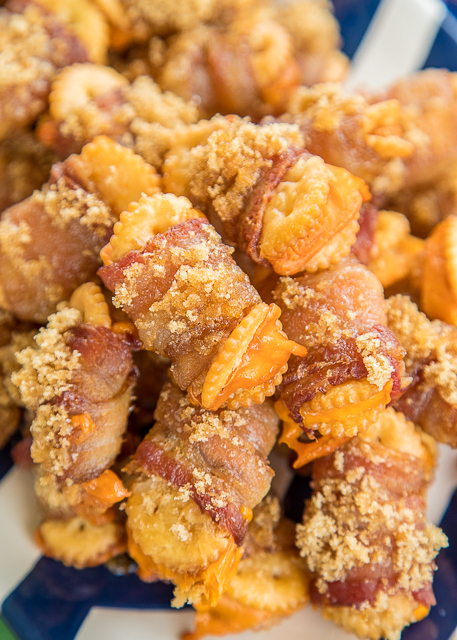 The key to making these Cheesy Bacon and Brown Sugar Crackers is to bake them on a cooling rack on top of a baking pan. This helps keep the bacon and crackers crispy and not absorb all the grease coming out of the bacon. What I love about this recipe is that you can make as many of these as you like. I used the whole box of crackers and they were no leftovers! 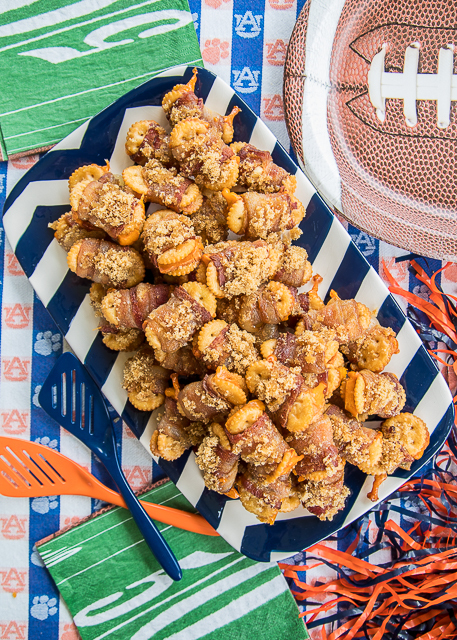 Make these for your Super Bowl Party this weekend. I promise you won't be disappointed!! Place one cheese slice on top of cracker. Top with another cracker. 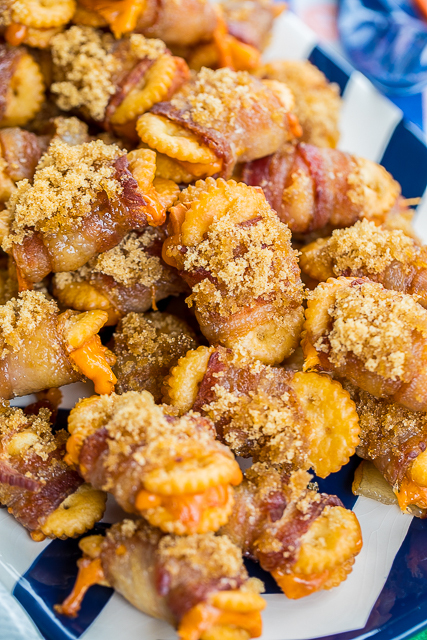 Wrap each cheese stuffed cracker stack in a half slice of bacon and place it on the rack. Repeat with remaining crackers and cheese. Sprinkle all crackers with brown sugar. How long do you really bake these for? I'm sure it's not 2 hours, but that's what the recipe says.